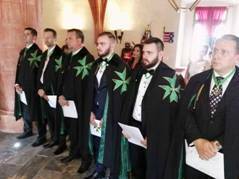 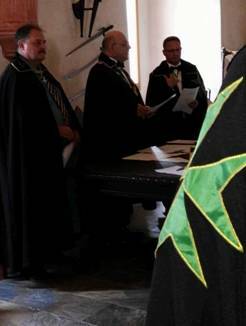 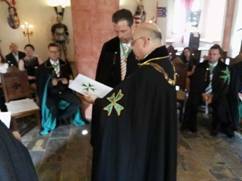 On June 26th, in the historic castle of Viglas in Slovakia, the Grand Priory of Slovakia conducted its investiture service under the watchful eye of its Grand Prior, the Chevalier Robert Bodor. 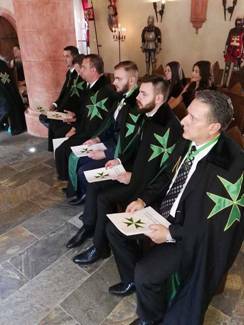 The investiture service was conducted by the Grand Chancellor of the Order, assisted by his aide de camp, the Chevalier Andras Stefan. 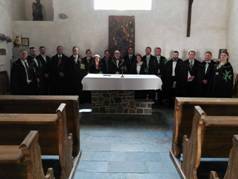 Apart from the members and officers of the Grand Priory of Slovakia, a delegation from the Grand Priory of Hungary was also present to aid and assist its neighbouring Grand Priory. 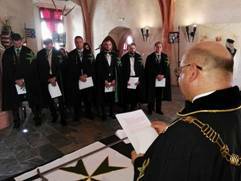 Six postulants were brought into the Order in the unique setting of this beautifully reconstructed medieval castle, originally a Templar stronghold and then owned by the Knights of Saint John. 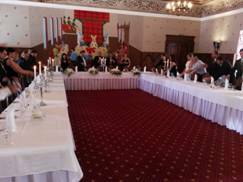 The investiture service was simultaneously translated into Slovakian and afterwards, a sumptuous investiture luncheon was served, with medieval re-enactors performing for the congregation. 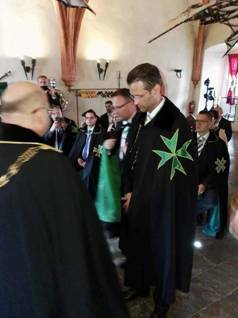 The Grand Priory of Slovakia has indeed had a healthy growth throughout these last years and the Grand Prior has indeed delivered on his promise to ensure that more Hospitaller activities and initiatives are carried out in this beautiful country.